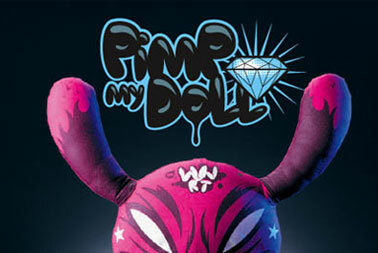 Presented by Papier Machine and the P�broc Shop, the Pimp my Dolls exhibition aims to be a testimony of an artistic movement which is still young, yet arousing a growing international interest. Dolls, new toys for adults, have replaced the travel souvenirs and the Starck press-orange in the fancy cottages of the hyppiest people around the globe, becoming objects of collection and fetishism. For the first time in Italy, hosted by Studio Camuffo, Pimp my Dolls features artist WanyUes from Bologna, who is going to create a giant character using furniture parts during the opening party. Featured also at the exhibit will be the work of Fabrica grant holders. Opening: March 24, 7 p.m.